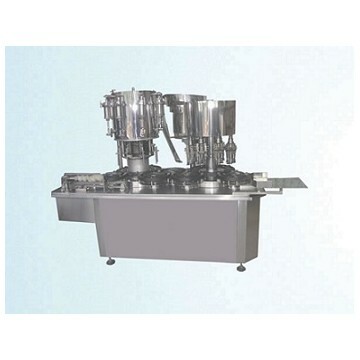 This machine is a high-speed filling and capping machine, applied to various 50-300ml glass or plastic bottles. It adopts combined type filling pipe and filling assembly, convenient disassembly, disinfection. The capping force can be adjusted to ensure the appearance of cap is not damaged. It uses variable frequency adjustment system, can easily adapt to different specifications bottles and different viscosity liquid filling requirements.